As you drive south to Kiahuna Plantation Resort from Lihue Airport, you'll pass through one of the most interesting little areas in all of Hawaii. 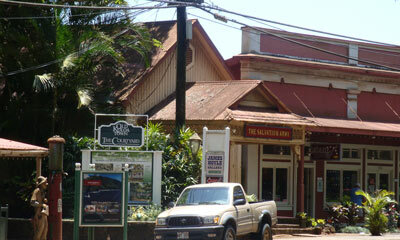 Located just 2 miles north of our Poipu Beach area resort, Koloa was established in 1835, and is the oldest of Hawaii's sugar plantation towns. 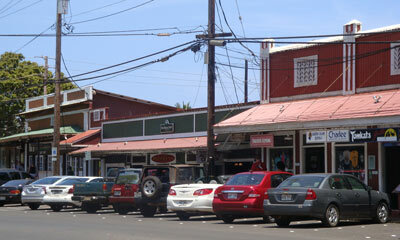 You'll find local grocery stores, a great fish market, small medical facility, a post office and many fun shops here. The town is colorful, historical and picturesque. The buildings themselves are historical treasures of a bygone era. 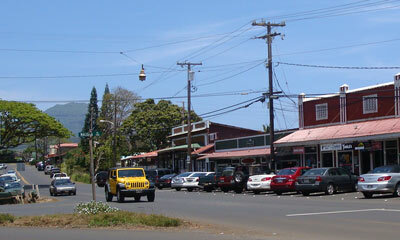 Once you've settled in our condominium, and are ready for a taste of friendly Hawaiian life, be sure to make a visit to Old Koloa Town on Kauai. If you plan to do any cooking or barbecuing while staying at the resort, Koloa is your closest stop for food and beverages.